A man walks past a drain cover during heavy rains in Moscow on Aug. 15. It began raining in Moscow in the afternoon of Aug. 14 and has continued unabated, causing many streets to be flooded. 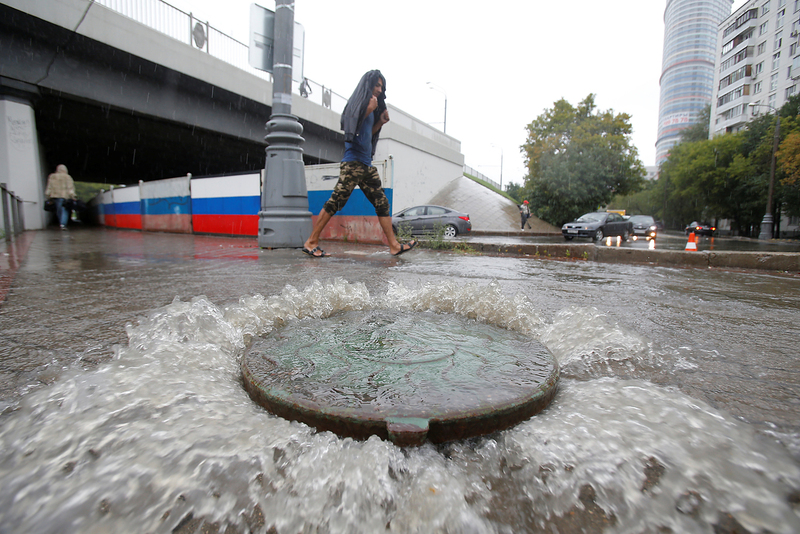 A man walks past a drain cover during heavy rains in Moscow on Aug. 15.